If you don’t have faith in you and your work, who would? 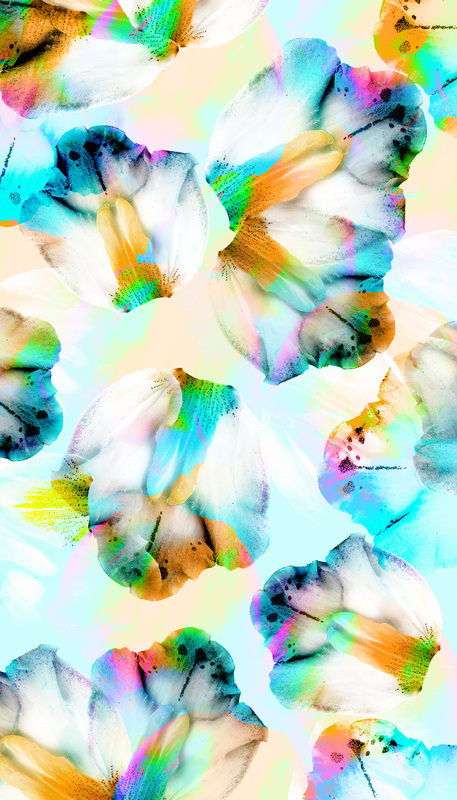 Maria Montiel is a graphic designer specialized in textile design and illustration, originally from Venezuelan, currently living in Madrid, working as a freelance designer. 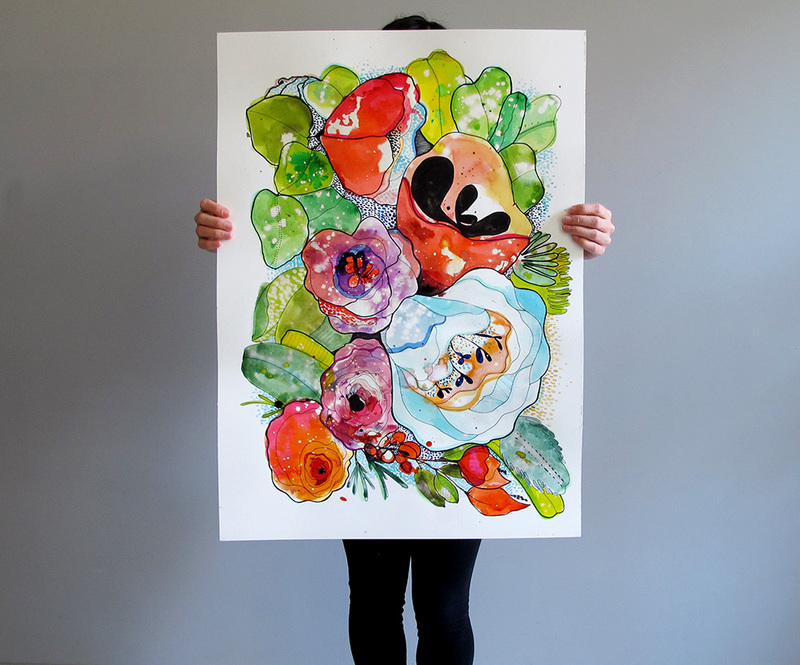 Her work is very organic, much of inspiration comes from Latin America with its vivid colors and rich textures. 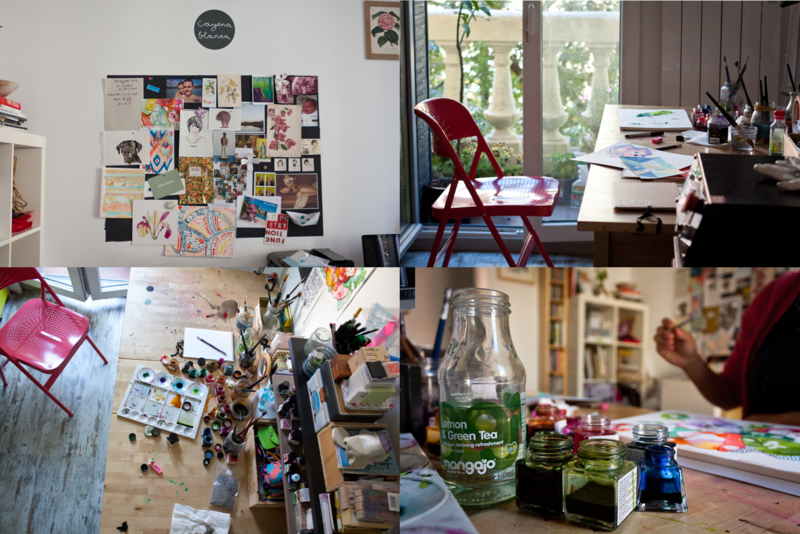 Maria’s studio is full of treasures from her trips, sketches, plants, and lots and lots of inks, watercolors and markers. She has a personal project that it’s been active since a few years, where she experiments and tries new things, her personal brand: Cayena Blanca. Could you tell us a little bit about yourself. My name is Maria Virginia, I was born in Venezuela and currently I live and work from in Madrid, Spain. 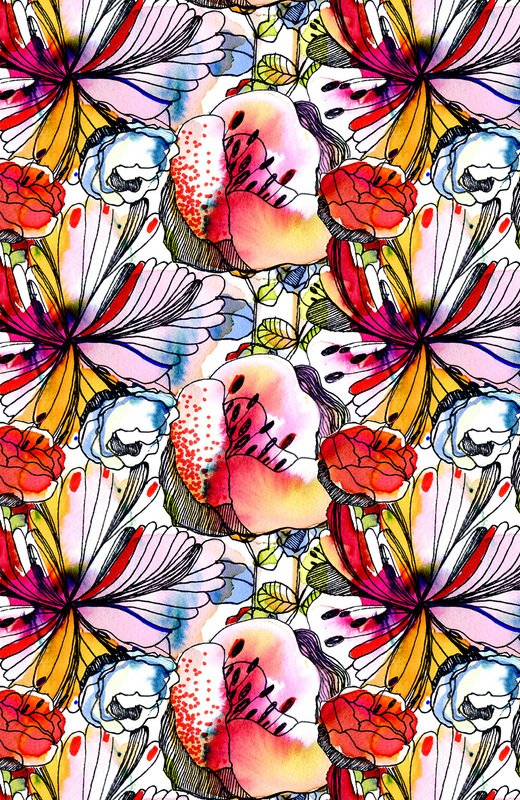 I am an illustrator with a degree in Graphic design and a specialization in pattern design. 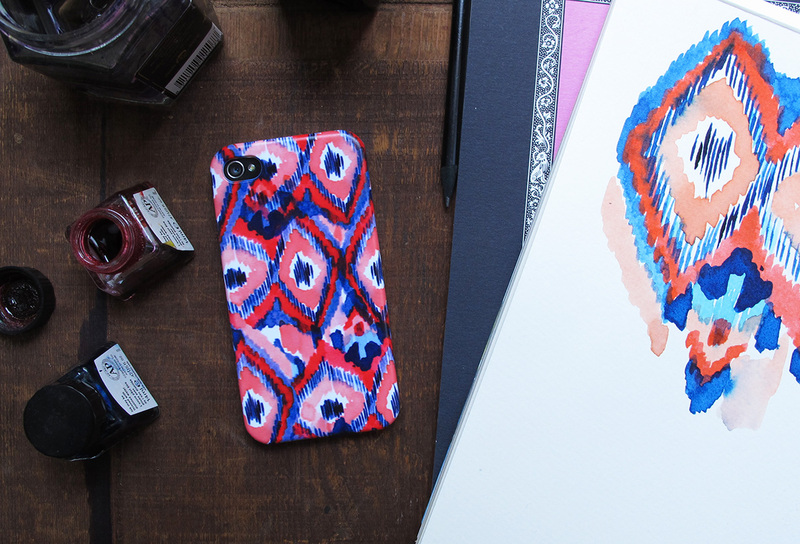 I work as a freelance textile designer for commissioned work and I also have a brand called Cayena Blanca, is a very personal space where I create products with my prints like: smartphone cases, notebooks, stationary in general and accessories. I have been interested in art since I was very young, every time we were on family vacations my parents always brought my sister and I to all the museums, they are both architects and they love teaching. 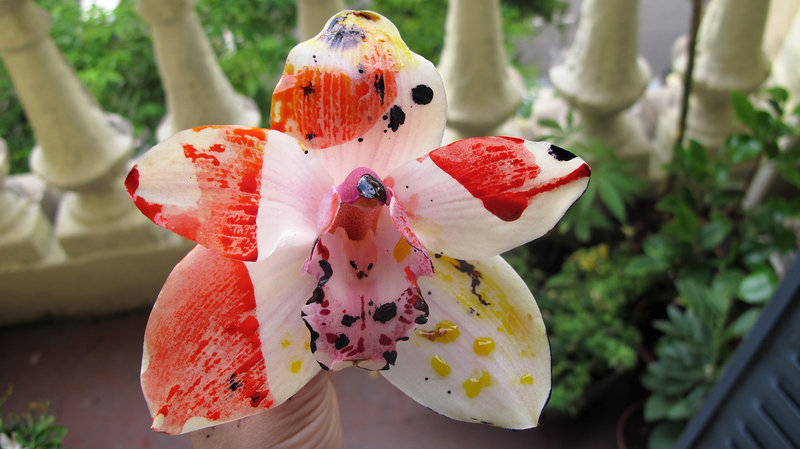 The inspiration for my personal work comes from inside, how I am feeling, my memories, my nostalgic of living away from home, my dad’s orchid garden, my trips. When I work for other clients I usually follow my client’s concept and story. Do you have a favorite piece in your mind? What do you think the artist is in society? I think as an artist your role in society is to speak a new language through your work, being true to yourself and honest about the message you want to send to any one that approach your art. In my case, I have been able to express everything I wanted to in a very honest way. I am not sure if it’s because I am a woman or because of my personality. For me it is not about being a female artist, it is very difficult being an artist. And I also think this is very personal and has a lot to do with your personality and what you project as an individual, more than being a woman. Working hard, I am a little workaholic, I do a lot of exercise to manage stress and stay focused and trying to have fun while working. Yes, of course I have, sometimes I still do. This is not a super balanced career, I mean there are very hard times and very happy times, you have to balance the experiences, that can be crazy sometimes. I think perseverance and hard work makes the difference, that does not mean that your are never going to feel depressed and worry about what’s next, or if you are going to be good enough, or if you ever going to be paid, this just mean that besides all that, you need to keep going and believing in yourself. If you don’t have faith in you and your work, who would? It depends a lot on the piece, some times I don´t like it at all and I want to change all about it and sometimes I surprise myself liking a piece from a long time ago even more. How does your cultural background affect your work? I think when you live away from home, you try to keep all those memories and feelings very close to your heart, because you really don’t want to lose those and forget where you came from, at least in my case. So for me my culture background plays a very important role when looking for inspiration. Right now, I dream about working with graphics in architecture. I would love to create a unique art for a venue inspired by the cultural background and organic life of the surroundings. But I am always dreaming about my fantasy projects, so maybe next month it would be something different. 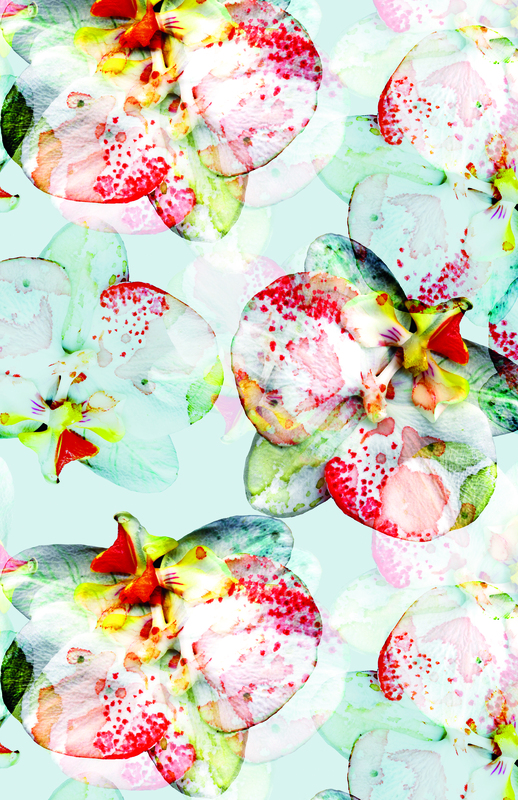 I have other plans like creating a ready to wear collection featuring my prints. Let’s see what happens! 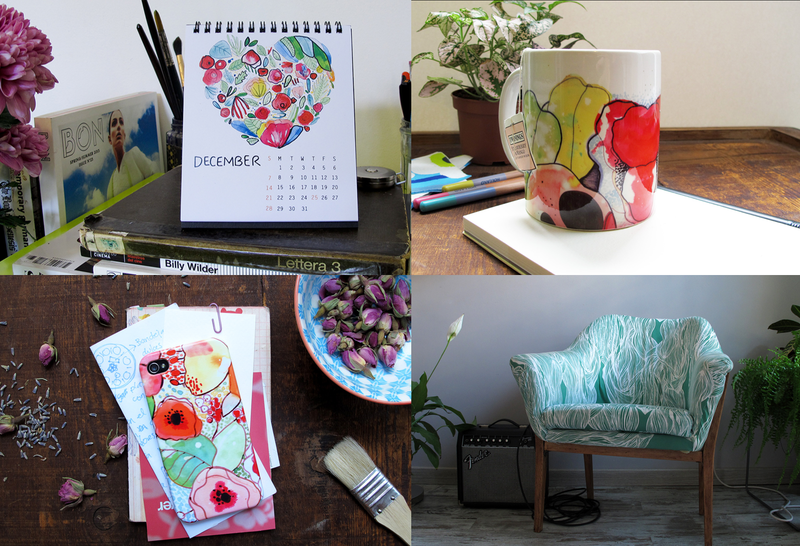 Take a look on Maria’s website for more artwork and products she maid! 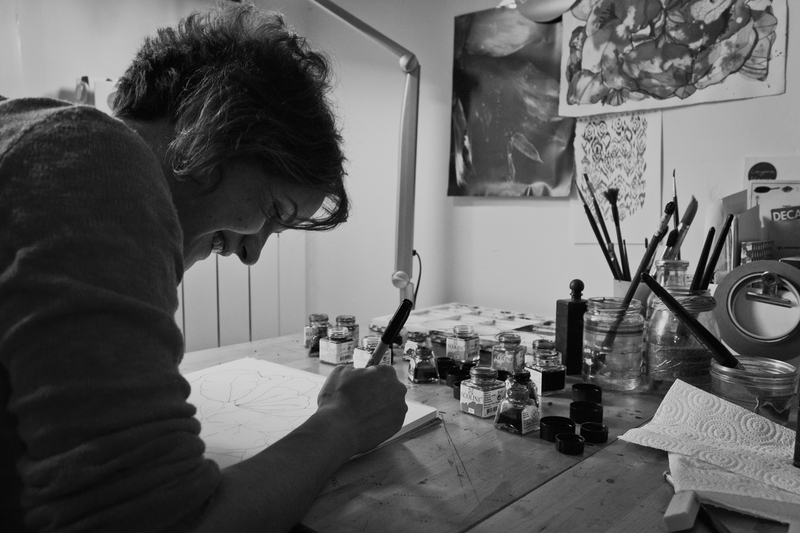 Also you can find her profile on Women Artists of the World website. This entry was posted in Interviews and tagged Architecture, Freelance Designer, Graphic Designer, IFWA, Illustration, International Foundation of Women Artists, INTERVIEW, Latin America, Madrid, Maria, Maria Montiel, Montiel, textile design, Venezuela, Women Artists of the World. Bookmark the permalink.